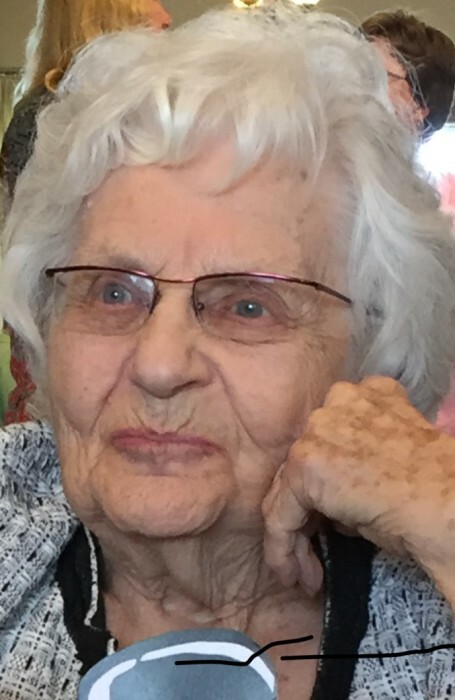 The funeral service for Clarice L. Wolf, 90, a longtime Stewartville, MN resident will be at 11:00 A.M. on Friday, June 29, 2018 at Zion Lutheran Church in Stewartville with Rev. Byron Meline officiating. Burial will follow at Holden Lutheran Church in rural Kenyon, MN at 3:00 P.M. Mrs. Wolf died on Sunday, June 24, 2018 of natural causes at District One Hospital in Faribault, MN. Clarice Lorraine Voxland was born on November 13, 1927 in Kenyon, MN to Olaf and Alma (Haugen) Voxland. She grew up on the family farm, attended Norway Public School #148, then onto the Kenyon School District, graduating from Kenyon High School in 1945. She attended Miss Woods Kindergarten – Primary Training School in Minneapolis, as well as St. Olaf College in Northfield, MN. She received her teaching certification and was teaching in Waterville, MN when she was introduced to Calvin Wolf. Clarice was married on February 28, 1952 at Holden Lutheran Church in rural Kenyon to Calvin E. Wolf. After they were married the couple moved to Byron, MN, and then to Stewartville in 1956. She began taking classes part-time at Winona State College, eventually earning a teaching certificate as a learning disabilities educator. She was hired by the Stewartville schools where she taught learning disabled students for a number of years, until her retirement. Cal and Clarice raised their family in Stewartville, where they have continued to make their home for 61 years. They recently moved to Northfield Retirement Community in Northfield, MN. Clarice was a longtime member of Zion Lutheran Church in Stewartville where she was active with it’s W.E.L.C.A. activities and Bible study. Because Clarice was an avid reader, she belonged to the Monday Study Club. She was also a collector and enjoyed playing cards, and loved spending time with her friends and family, especially her grandchildren and great grandchildren. She will always be remembered for her proud Norwegian heritage. Clarice is survived by her husband of 66 years and their four sons – Todd (Diane) of North Hudson,WI; Keith (Barbara) of Edina, MN; Davis of Kenyon, MN, and Kent (Lou) of Woodbury,MN; 9 grandchildren – Jessica(Todd) Neuman, Matthew(Jessica) Wolf, William Wolf, Alexander Wolf, Maxwell Wolf, Olivia Wolf, Andrew Wolf, Nicholas Wolf, and Grace Wolf; 5 great-grandchildren - Isabelle and Henry Neumann; and Charlie, Christopher, and Frederick Wolf. She was preceded in death by her daughter – Julie, her parents (Olaf and Alma Voxland), and 3 brothers - Lloyd (Gerry) Voxland, Willis (Wanda) Voxland, and Allan Voxland. A time of visitation will take place from 5 to 7:00 P.M on Thursday, June 28, 2018 at Griffin-Gray Funeral Home in Stewartville, as well as one hour prior to the service at Zion Lutheran Church on Friday morning.